Tucked away in Leura adjacent to the Lily Pad Cafe is the Light & Shadow Gallery. Peter White, the gallery owner introduces the work of Peter Hill currently being exhibited. Peter (pictured centre) works exclusively in black & white and has some excellent examples from his rather large body of work on display for the next couple of weeks. 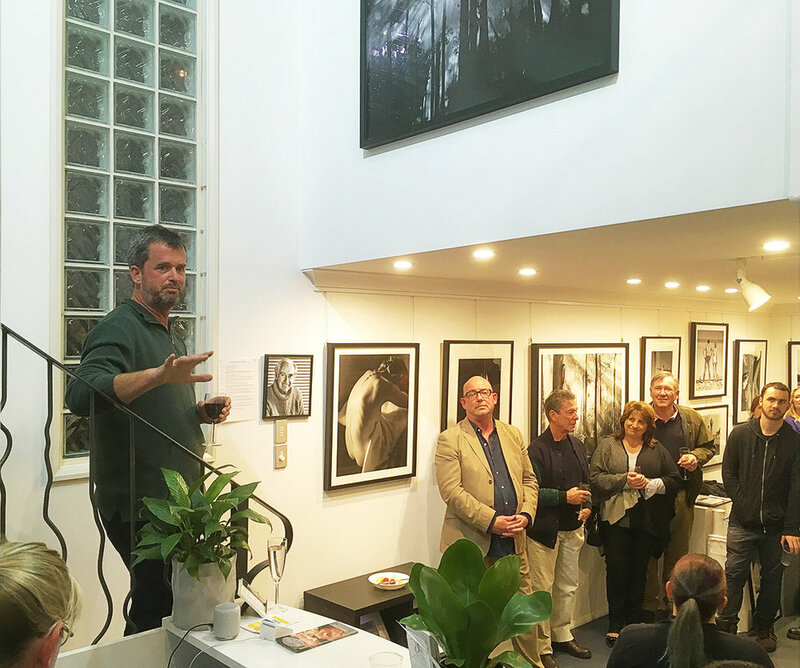 They share the gallery space with the work of the iconic Australian photographer Max Dupain. Not bad company. Peter White's mother who worked with Max Dupain for 20 years is also represented in the gallery. Upstairs are 2 more exhibition areas with other works by various photographers. Well worth the visit to this hidden gem. The gallery also offers a good variety of quality photography in the form of cards and matted prints in various sizes. Plenty on offer.